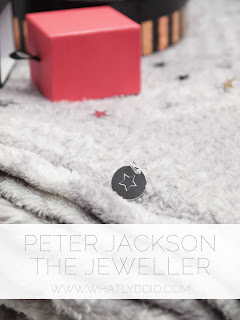 One of the best perks of blogging is getting opportunities to treat my loved ones, and last night I was lucky enough to do exactly that at Peter Jackson the Jeweller's Preston store. They carry ranges from a huge variety of brands including favourites like Links of London and even Gucci, and we were very kindly given Thomas Sabo bracelets and charms to personalise with their laser engraving system. 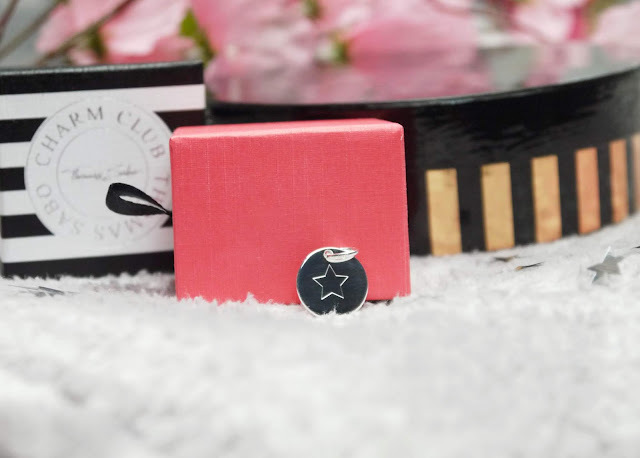 I chose my cousin's initials on one side and a star on the other because, well, she is a little star. 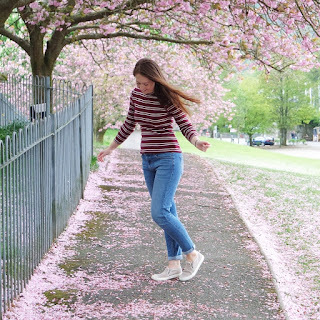 She's won awards for her involvement with St John's Ambulance, and she's off to uni in January to start her journey to becoming a kickass critical care nurse. I really couldn't be prouder, and it's lovely to know that a simple, dainty charm can remind her of that. That's what I love about jewellery. It can complete an outfit, but it also says a lot about the wearer and often carries great meaning for them. My everyday jewellery all signifies something, from the opal ring I was given for my 21st to my Freddie Mercury inspired bangle. Another thing that they have in common is that they are from smaller businesses, which I love to support. It just feels good knowing that buying an item which means a lot to me also means a lot to the sellers, rather than just being a drop in an ocean of profits. Very wrongly, I had assumed that Peter Jackson was one such huge corporation, and the name was just that, a brand title like Jack Wills or Miss Selfridge. He is, in fact, a very real and lovely person with an MBE for services to charity, and a huge passion for jewellery, which he displays through 4 stores in the North West: Preston, Bury, Blackburn, and Carlisle. 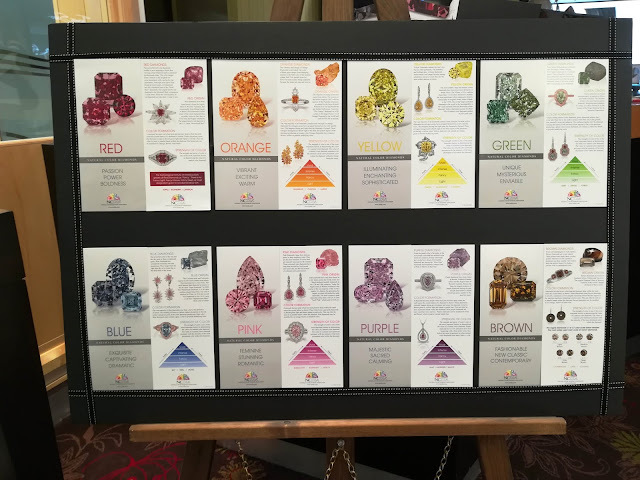 Alongside learning about Peter and his brand, we also got an insight into the diamonds on sale. Can you believe I'm 23 and I thought they came out of the ground in that classic diamond shape?! They actually come out in crooked lumps from mines which reach underground to around the length of the Eiffel tower. Once they're retrieved from the rock they are assessed by skilled workers who have passed their knowledge down through generations. They cut each facet of the diamonds by hand, and with 58 facets on a brilliant cut, that really does take patience and precision. Once the mine is empty, it's recovered to become a habitat again. Diamonds are not rare, but high quality ones are, and they can be found in The Perfection Collection, which really is full of bobby dazzlers, as we like to say up here. More elusive still are coloured diamonds, which take their hues from minerals infiltrating them. 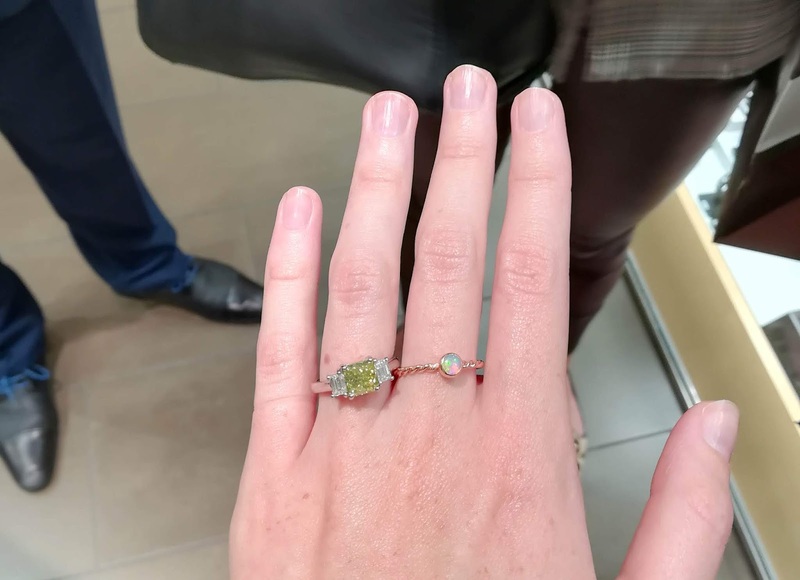 Green diamonds are the rarest of all, so I felt very special trying on a ring worth £29,000, set with a stunning lime stone that glittered with every movement of the light. If diamonds aren't your thing, there are plenty more pieces to tempt within the store. 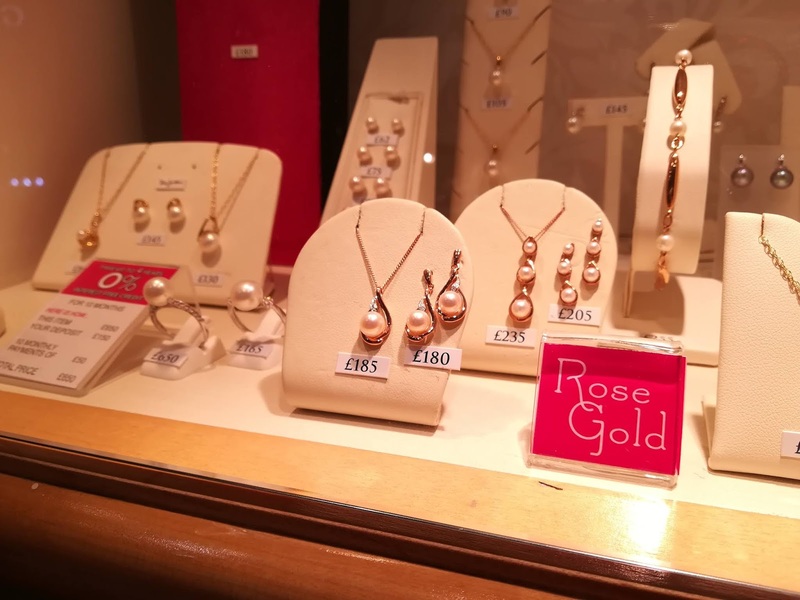 Call me basic, but I do love me some rose gold, with particular favourites being the Royal Clogau acorn and oak leaf pendant and the rose gold pearl collection, which put a modern twist on very classic pieces. Whatever your style, Peter Jackson the Jeweller can cater to you by bringing big brands to their North West stores and website, where you can take 15% off almost anything you fancy using the code WLDID18. Thankyou to Peter Jackson and his colleagues for hosting and kindly gifted the Thomas Sabo jewellery, Bite Club (great name!) for feeding us, and Jenny Higgins for snapping memories of the night.